There is a tendency, after instances of violence against black Americans at the hands of white Americans, for people to passionately suggest “we” are one, and that if only “we” loved each other, then, “we” can solve the racism that plagues black bodies in America. 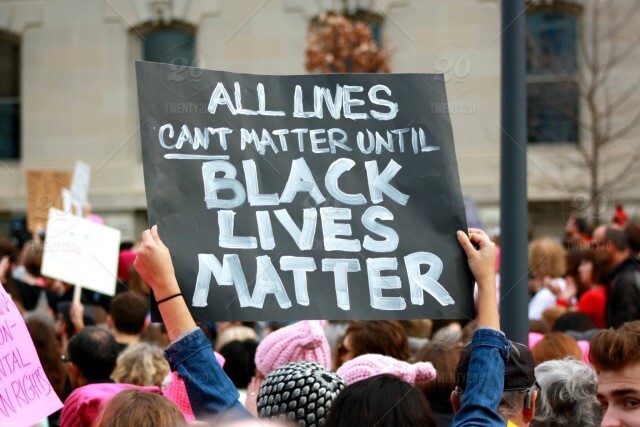 When it comes to the oppression and destruction of black bodies in America, there is no “we.” “We” all are not victims of white supremacy, “we” all did not have to endure Jim Crow, “we” all are not shot and killed by police officers at the same rate. “We” all did not create whiteness or white supremacy—those are inventions and tools of white Americans, and white Americans need to do something about the monsters they have created. It will not be until white Americans can ask themselves why whiteness needs oppression and white supremacy that we can come together to understand the severity of what it will take to dismantle whiteness as a paradigm. This is not to say that whiteness as an identity needs to be eradicated, but if the idea of dismantling whiteness makes you shiver, it is because you have never lived in a world that knows what that looks like. There can be unity in discovering an answer, but make no mistake: The answer does rest on the actions of black people. Ending racism in America requires action from the members of the white community. Black Americans are not committing acts of oppression or dominance over white Americans, but for some reason black Americans are indiscriminately lumped into white America’s legacy of racism and oppression, and are sold watered down solutions that do not engage the insidious nature of white supremacy, but instead substitute “white American” for “we,” make “white America” synonymous with “American,” and concoct lazy statements such as: “Police violence is an American [see white American] problem,” or “Let’s reflect on what “we” [see white American] can do better,” and “let’s come together as a nation.” As if black people need to improve their capacity to try to unite with White Americans. Calls for compulsory love and oneness as a cure to white supremacy implies that both black Americans and white Americans share culpability when it comes to injustice in America, and that a magic wand of love will neutralize all instances of inequality. To accept this means to accept that one has to be loved first in order to receive their humanity, but love is not a prerequisite for equal rights, and there are black Americans who do not seek the love of white Americans—they just want equality. For those of you who are quick to say we are all “one,” I ask: if we are to unite as “one” race, where does blackness go? How can I be one with my blackness and one with everything at the same time? The idea that “we are one” is an antiblack sentiment that should be questioned every time the statement raises its head. I can be exclusively black, and still have my rights with no unity or love required. I do not desire to be “one.” I desire to be who I am: a black male, and that should be enough. I refuse to have my blackness diluted under a false pretense of American oneness or compulsory love. Injustice and Injustice again, people continuously call on “us” to come together when we, black Americans, are under siege, and I challenge anyone to list the things that black people must do in order to obtain and live out our inalienable rights. If you claim not to be racist, but can list off actions that a black person should have done in order to be treated like a human being, then I will show you a racist. Racism in America is not a two-way street. Racism is a thing that is happening to people who are not white. Black Americans did not create our position in America, and If we are to destroy America’s addiction with white supremacy, we should start with language, and specifically challenge white Americans to make more progress to destroy the patriarchal, oppressive nature of whiteness, which is a hard but necessary reality that white America must face.